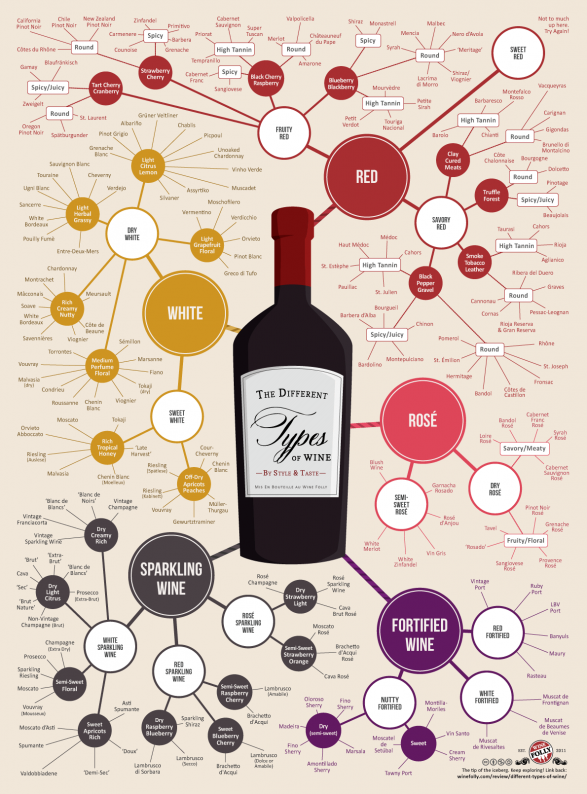 How Many Types of Wine Do You Know? You are in Home > Blog > Food & Drinks > How Many Types of Wine Do You Know? With over 1,300 wine varietals to choose from, how you do know which type of wine to pick? It will be easier with the help of this handy wine infographic from Wine Folly. This visual guide categorizes wine types of color, style and flavor - ensuring you'll becoming a pro at recognizing and selecting wine. To brush up on your enological knowledge, you can consult our wine tasting tips and advice from sommelier Shinya Tasaki.